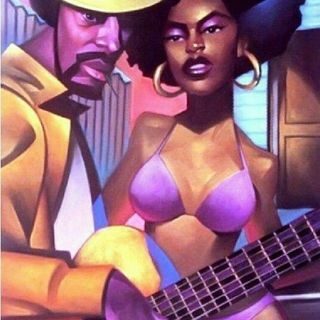 Smooth Grooves Tuesdays. Providing Audible Eargasms to get through the day. You mean PeACE don't you PamELA? 60 responses short of 400 convos! For a tuesday!! Have a great day everyone. Thank you for your time. True PamELa...why I'm glad I retired early!! Smeel the roses, enjoy the color purple and absorb each and every note in the music. Get At Me Sis!! This is why I can't work today..
Lots of folks paying Child Support because of this song! Maybe the words can be appropriated, but NOT THE SOUL!! Great! It’s just my first day though. DUETS DONE WELL TUESDAYS!! Nice touch D.J.!! This feel like a Gospel song..
Hey Denise! Too you amd Ghana with love! Greetings J. Denise Porter!! How are our Sisters and Brothers in Ghana doing today?? Sending LOVE!! I'm out people.... meeting time! See ya'll at Reynolds tonight!